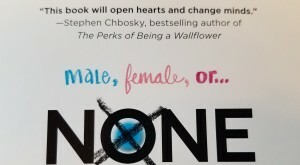 Introducing the NONE OF THE ABOVE paperback! 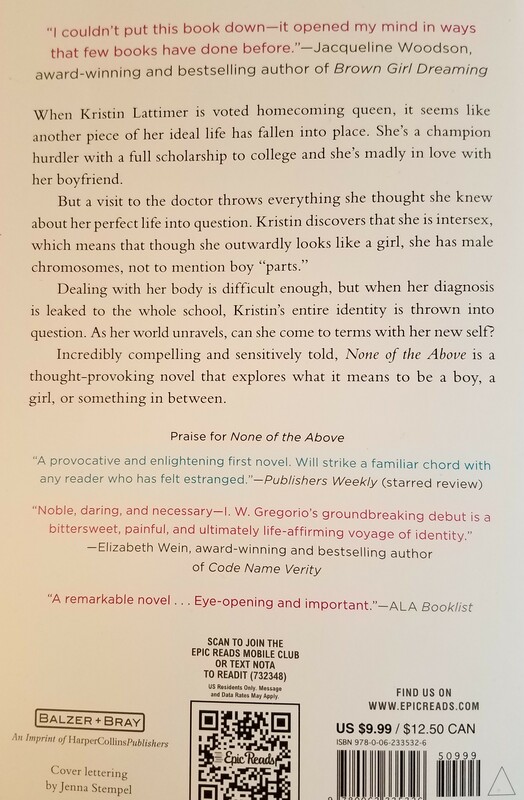 I am over the moon excited to share with you the cover for the None of the Above paperback (coming to stores near you on April 4th! 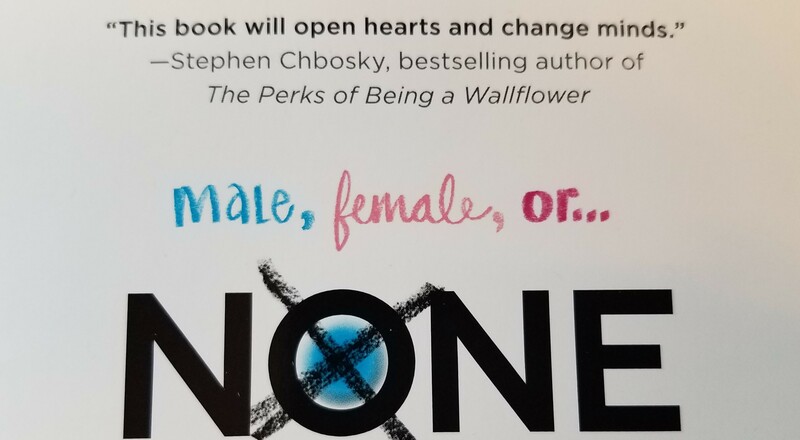 ), with its shiny new blurb from Stephen Chbosky, author of the bestselling Perks of Being a Wallflower, and screenwriter for a little movie called Beauty and the Beast (#1 for two weeks and counting). 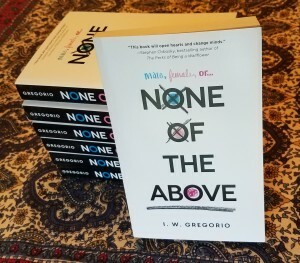 Paperbacks are exciting because their printing is not guaranteed – for many reasons, publishers will sometimes release some titles in hardcover only, which is tough for YA authors because teens are much more likely to buy a title that’s $9.99 than something that’s almost twice that. 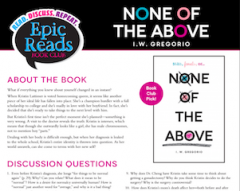 Book clubs are also much more likely to choose a book that’s in paperback… and hey, did I mention that Epic Reads made an awesome None of the Above Book Club Guide? 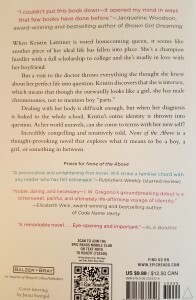 Over the next week I’ll be announcing a promotion to get book clubs to read NOTA – prize pack will include a Skype visit with your book club, free SWAG and a $50 Barnes and Noble gift certificate. 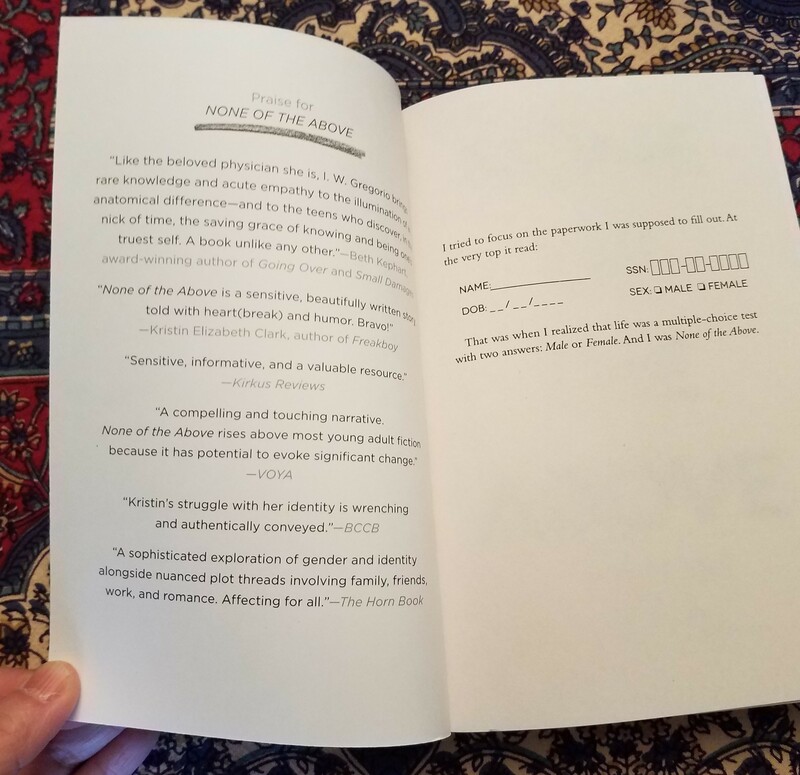 I’ll also be talking about the strides made in intersex awareness in the past two years since NOTA first released, even as I acknowledge how much work there is still to be done. 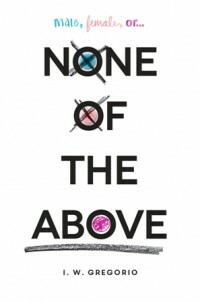 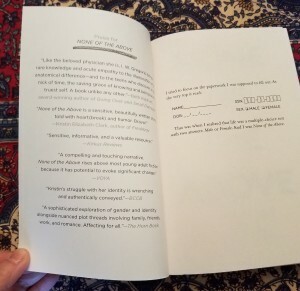 One Response to Introducing the NONE OF THE ABOVE paperback!